M. Clayton Barrier is a native of Durham, North Carolina and graduated from North Carolina Central University. While in college, he took every opportunity to be involved in fitness and dance. Most recently, he is a dancer, choreographer, and teacher for various dance organizations and an up-and-coming local dance company. In addition to being a theater, dance, and physical education/health teacher at a public college prep charter school, Clayton is trained in various yoga practices through YogaFit. Currently, he teaches yoga and barre in various locations around the Triangle. Additionally, he teaches ballet and jazz for adults. Clayton prides himself in meeting his students at their level, raising the bar, and serving as support to reaching that goal. His no-nonsense approach has a number of dancers and athletes who train under him independently. Emily Arocho is 25 years old from Reidsville, NC. Her dance career started when she was 3 years old at Academy of Dance. She attended University of North Carolina of Greensboro where she studied in Dance Education for 4 years. She is currently teaching dance and coaching cheerleading at Shelby Middle School in Shelby, NC. She enjoys hanging with friends and her husband in her free time. Aparna Pisharody (Greensboro NC) is an active performer, teacher and choreographer of Indian Classical Dance - Bharatanatyam. Growing up in Mumbai (India), Aparna was introduced to Bharatanatyam at a very young age. She continues to nurture her passion for Bharatanatyam under Sathvikaa Shankar (A senior disciple of world renowned artist Smt. Anita Guha). Understanding the compelling nature of Bharatanatyam and how it connects one to the divinity within themselves is an exhilarating and ongoing journey for her. To move the audience through the presentation of this ancient art form is an inspiration for her. Aparna has performed at various prestigious events within India and the US. Her performances reflect her devotion to this spiritual artform and they never fail to evoke an emotional experience in the spectators. Aparna founded Svasti School of Dance in 2013 to impart devotion to Bharatanatyam in all students with the hope that they make it a meaningful part of their lives. She loves to teach because every class is a learning experience for her. She grows artistically and spiritually with every student, every day. Being able to encourage, challenge, and develop passion in the next generation is a sadhana (spiritual prayer) for her. She strives to teach Bharatanatyam through a traditional curriculum, and rigorous practice. Through it all she encourages creativity and humility. Svasti School of Dance performances are held all over the Triad area raising money for Temples, Flood Relief and various charitable organizations. The ultimate wish is that physical and spiritual discipline required on this artistic voyage will guide all to success in every pursuit of their life. DON’T MISS THESE TWO OPPORTUNITIES to study with the celebrated dancer and choreographer Pedro Ruiz! Presented by Wake Forest Dance Festival and hosted by Destiny Dance Institute (6/3/18) and Wake Forest Academy of Fine Arts (6/5/18) the masterclasses will focus on Ballet Technique for students ages 13 and up. SPACE IS LIMITED! Pedro Ruiz was trained in his native country, Cuba and in Venezuela, Mr. Ruiz choreographed three celebrated ballets while a principal dancer with Ballet Hispanico for twenty-one years. Choreography credits include: The Joffrey Ballet, Luna Negra, New Jersey Ballet, The Tribeca PA C, The Jacob's Pillow Festival, The Marymount College, the Ailey/Fordham B.F.A. Program, Ailey’s Spring Celebration and Summer Sizzler concerts. He is on the dance faculty of Marymount College, the staff of The Ailey School and Scarsdale Ballet. Awards include: the Bessie Award, the Choo-San Goh Award, The Cuban Artist’s Fund, and The Joyce Foundation Award to create a new work for The Joffrey. Mr. Ruiz has performed at the White House and was profiled nationally on PBS’s In the Life. Join us for the premiere of Absent Bloom! This new work was developed in choreographic collaboration by the dancers Brianna Cooper, Kaitlin Clow, and Masha Dashkina Maddux. Together with musician and composer Dallas Brown, Absent Bloom was brought to life through exploratory improvisation combining music and dance. In Absent Bloom the first hopeful hint of spring is captured in movement. The piece calls to memory the moment when winter’s harsh edges are starting to melt away and soft, delicate new life is beginning to blossom. Come join us this Mother's Day at 3:30pm, prior to Six Sundays in Spring Concert, for a FAMILY FRIENDLY, FREE AND OPEN TO THE PUBLIC performance at Joyner Park's Performance Garden. Jody Fabso Cassell will lead you in BrainDance(c) developed by Anne Green Gilbert who was awarded the highest teaching award by the American Dance Festival in 2016. BrainDance (c) is a way to move the body to wire the brain to become focused, energized, and prepared to meet the challenges of the day. It is a fun and easy way to reduce stress and become capable of responding rather than reacting to people and events during the day. It can be performed by all ages, either standing or seated. Come join! Jody will also lead a short demonstration in how a dance is built. This performance is interactive with whomever wants to participate. This event is sponsored by Wake Forest Dance Festival and the American Dance Festival. Pedro Ruiz is a celebrated choreographer and dancer who was born and trained in Cuba, and later in Venezuela before coming to the US. During his 21-year career with Ballet Hispanico as principal dancer, Ruiz choreographed three critically acclaimed ballets for the company — Club Havana (the company’s signature piece), Guajira and Cecilia. As a dancer, Ruiz was distinguished with a Bessie Award, the New York Dance World’s highest honor. Choreography credits include: Fire Island Dancers Responding to AIDS Dance Festival, Lincoln Center at the Movies: Great American Dance, Ballet Contemporaneo de Camagüey Cuba, Danza de Contemporanea de Cuba Havana, Danza del Alma Santa Clara Cuba, National Ballet School of Cuba, Ballet de Camagüey Cuba, The Joffrey Ballet, Luna Negra, The New Jersey Ballet, The Tribeca Performing Arts Center, The Jacob's Pillow Festival, Dance Theatre of Harlem, Opus Dance Theater, Nimbus Dance Works, the Italian international gala "Notte di Stelle," Il Piccolo Teatro dell’Opera, Alvin Ailey Summer Sizzler and Ailey Spring Concerts, Marymount Manhattan College, Ulster Ballet Company, President George Bush’s Birthday celebration, 50th Anniversary Gala of Goya with Tito Puente, and The Boston Conservatory. National television appearances include the CBS Sunday Morning Show, NBC’s “Hispanics Today,” “The Hispanic Heritage Awards,” a PBS “In The Life” series profile Pas de Deux, and WNET/13 documentary, Pedro Ruiz: Coming Home — an hour-long, Emmy-nominated film about Ruiz’s return to Cuba and his 2011 collaboration with the national Cuban dance company Danza Contemporanea de Cuba. For additional information on “Pedro Ruiz: Coming Home”, click here. Ruiz is on the dance faculty of Marymount College, the staff of The Ailey School, a master-class teacher of The Alvin Ailey American Dance Theater, Pace University, Complexion Contemporary Ballet and Resident Artistic Director of the Arnhold Graduate Dance Education Program at Hunter. He has also taught master classes and performed throughout the United States, Europe, and Central and South America.In February 2010, Mr. Ruiz created “The Windows Project,” a groundbreaking endeavor celebrating the art of dance as a cultural bridge between the U.S. and Cuba. After 30 years Ruiz returned to his native land and was commissioned to create an original work, Horizonte, for Danza Contemporanea de Cuba, thus becoming the first Cuban-American ever to set a dance work on this national company. Horizonte had its world premiere in January 2011 at Teatro Mella in Havana. When Danza Contemporanea toured the U.S. in May 2011, Horizonte was featured in the company’s repertoire.In January 2012, Ruiz premiered his second commission for a Cuban dance company, El Camino, performed by Danza del Alma at Teatro Caridad in Santa Clara, Cuba. On March 17 of that year, Ruiz headlined the annual gala for The New Jersey Ballet with a new work, So Proudly We Hail — a fist-time collaboration between The New Jersey Ballet and the West Point Military Band.In 2013, Pedro Ruiz was commissioned to create a new collaboration with Ballet Contemporaneo Endedans of Camaguey, Cuba. Moments in the Wind premiered on January 24, 2014, at Teatro Principal in Camageuy as a part of a year-long series of cultural events planned to celebrate the beautiful colonial city’s 500th anniversary; and Moments in the Wind premiered to critical acclaim in Havana at Teatro Marti on July 18, 2014. On May 24, 2015, Ruiz premiered a new ballet in the Havana Biennial with principal dancer from Ballet Nacional de Cuba, Viengsay Valdes, as well as dancers from the school of the Ballet Nacional de Cuba. In November 2014, Ruiz was officially appointed Associate artistic Director of Ballet Contemporaneo Endedans of Camagüey Cuba. In 2015/2016, Ruiz’s highly successful ballet, Club Havana was featured in Lincoln Center at the Movies: Great American Dance. And Ruiz’s celebrated poetic duet, Lasting Embrace, premiered in the US in July 2016 at the Dancers Responding to AIDS Dance Festival on Fire Island and at Marymount Manhattan College. Awards include: The Bessie Award, the Choo-San Goh Award, The Cuban Artist’s Fund, The Joyce Foundation Award and The American Friends of the Ludwig Foundation of Cuba. The FBI honored Ruiz for his Public Service during Hispanic Heritage Month Mr. Ruiz has performed at the White House for several presidents. Jody Cassell is a Teaching and Performing Artist in dance, dancing storyteller, and children’s author of the book Where’s Leon? who has taught creative movement for those ranging in age from infant with parent to elders at 103. She began her adventures in dance/theatre improvisation while a student at Connecticut College under the direction of Martha Myers, former Dean of the American Dance Festival and continues her ADF connections by teaching youth classes at the Samuel H. Scripps Studio. She earned a MFA in Dance from New York University School of the Arts, NY and a MS in Dance/movement therapy from Hunter College of the City University of New York. Jody now takes her sessions in the body/brain connection into work places to help people stay focused, refreshed and motivated throughout their work day. Jody believes that the more movement possibilities we have, the more possibilities we have in life. Visit Jody’s website: www.movingYOUtolearn.com. Dallas studied music theory and composition at various institutions including UNC – Chapel Hill, the Wisconsin Conservatory of Music, and several private instructors. He has worked in audio recording since 2008. His interests lie in the world of synthesis, and he draws inspiration from modern ambient composers as well as West Coast pioneers. Brianna holds a BFA in Dance Performance from East Carolina University. During her time at ECU she performed in several faculty works, student choreographed shows, at multiple ACDFA events, and with guest artists including Dayton Contemporary Dance Company and Madeline Reber. During her time at ECU and after graduating in 2011, she continued her training at the American Dance Festival. For two years she had the privilege to dance and work with La Bella Vita Arts based in Livorno, Italy. Currently, she performs with North Carolina based dance companies including Code f.a.d. Company, Natalie Marrone & The Dance Cure, and KT COLLECTIVE. Brianna also has a passion for educating young dancers. She is currently the Jazz and Contemporary Company Director at Destiny Dance Institute, in addition to teaching and doing freelance choreography for other private studios throughout the region. She has also worked with undergraduate students as a guest instructor at The Tuscan Summer Dance Intensive and Duke University. When she is not dancing, Brianna works in group fitness and as a certified Pilates Instructor, and holds certifications from the American Council on Exercise as a Group Fitness Instructor and Personal Trainer. SAVE THE DATE! SEPTEMBER 29, 2018. Come see what your donation helped accomplish!!! DON'T MISS THIS UNIQUE OPPORTUNITY to study with an acclaimed dancer, teacher and director of the Fini Dance Festival, Antonio Fini! Presented by the Wake Forest Dance Festival and hosted by Destiny Dance Institute, the master class will focus on modern dance technique. Advanced students may also audition for the summer intensive in Villapiana, Italy. LIMITED SCHOLARSHIPS will be awarded by the Fini Dance Festival and the Dancing Angels Foundation for the program. Antonio Fini is an Italian born modern dancer, choreographer, and director. Antonio has performed with the Martha Graham Dance Company and Graham II, Eric Hawkins Dance Company, Kosovo Ballet, Staten Island Ballet, Boca Ballet Theatre, Mare Nostrum Elements, and Michael Mao Dance, with whom he has performed as principal dancer since 2011. In 2011, he created Alto Jonio Dance Festival in Villapiana, Calabria to provide exceptional dancers in Italy the opportunity to perform with established companies in New York. In 2013, Antonio expanded his vision by founding the Italian International Dance Award, which recognizes phenomenal Italian and international dancers for their accomplishments. In 2014 Alto Jonio was transformed into Fini Dance Festival with the mission of establishing greater connections between dancers in New York and Italy. The festivals have been listed as one of the top summer dance festivals in the United States (Dance Informa) and Europe (Ballet 2000). Furthering his mission to unite the international dance community, Antonio has developed a dance competition and mentorship program for television called The Audition. Distributed in partnership with Delta Star Pictures, the show will premiere in 2018 on Amazon Prime. 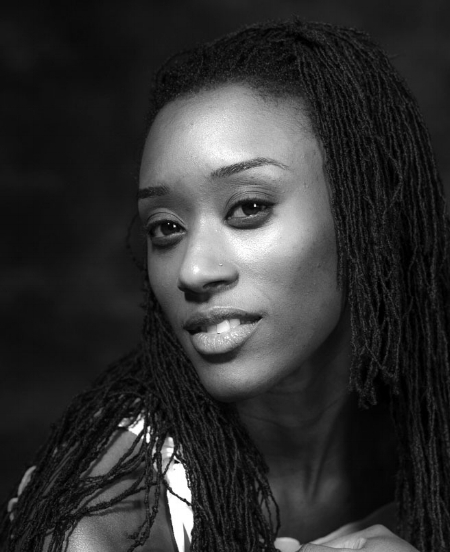 Jasmine Powell is a dance artist of the community from Hillsborough, NC. Locally trained, her performance career began with Durham's Collage Dance Company, then moved to join Dance Diaspora, and Philadanco! where she studied, performed and choreographed original work. She continued exploring art and its meaning with a B.A. from Oberlin College, and M.F.A. from Hollins University in collaboration with the American Dance Festival, and Frankfurt University for Music and Performing Arts. Jasmine enjoys the pleasure of having performed original work by Dianne McIntyre, KT Niehoff, Milton Myers, and more. As an artist surrounding herself with the creation of visual, and choreographic art, Jasmine does not exclude the art of nature, culture, teaching, learning, and listening. Currently, she is on the Performing Arts faculty at Cary Academy where she brings cultural history into the dance curriculum with multiple forms. She is a member of COMPANY and KT Collective Dance Company in addition to creating her own aesthetic choreography locally and regionally through performances and workshops. As research inquiries fuel her passion, Jasmine is thankful to have learned the value in exploring the organic movement of the body’s personal story and is investigating genre-crossing dance as the inquiry to how opposite embodied features reside in each other.